I can see why Macmillan plucked this novel from the slush pile. In a time of terror what joy to find a debut novel that deals with some tragic backstories but manages to be both irreverent and philosophical at the same time. 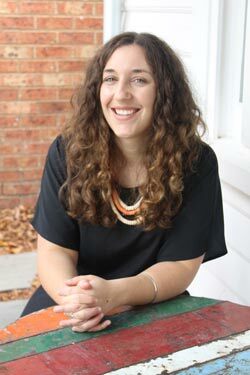 Varley has used her Greek/Cypriot background and time as traveller and community worker in China, Cyprus and the Solomon Islands to create pacy fiction in the form of a Bildungsroman or a coming-of-age story as far as Oliver, the male protagonist is concerned. The action, mainly based in Honiara, is where Oliver chooses to set his second novel in the company of new love interest, Alison, an adventurous girl he meets at the airport. Varley pokes fun at the literary world here since Oliver has had a book published and has won a literary prize but it soon becomes clear that his writing is dire and he has no original ideas. Expats in Honiara come under scrutiny too in their desperation to build wealth, reputations or to find themselves in the spiritual sense while the Solomon Islands struggles to build a nation. Varley has an eye for the serious and the ridiculous in this post-colonial carnival. This is entertaining and sensitive writing. Written in the third person, the action springs from the curious and lively Alison. In spite of her insecurities and her twenty-something questioning of life and its meaning she observes folly and flaws in the parade of opportunists and do-gooders seasoning places like the Pacific Islands. These characters could have fallen into the stereotypical-drunks, egomaniacs and bleeding hearts but are saved by authentic dialogue and surprising revelations that bring balance to individuals like NGO Rick, the dope-head American who lives in a Vogue house with a servant and who is given some of the funniest lines. Caricatures like this really exist and Varley knows how to extract comedy and pathos from her experiences. She cleverly juxtaposes a funny episode in a bar or club with the more serious story of Sera and her pregnancy. We are taken into indigenous family life and the struggle of the local women in particular, their morals and mores cleverly set against Oliver’s struggle with his over-protective Cypriot mother back in Melbourne and her hilarious emails which made me think of Sue Townsend and ‘The Diary of Adrian Mole’. I enjoyed this book’s meta nuances and literary devices, not only where Oliver writes a story within a story, but where vignettes of individuals are embedded in italics. This technique highlights their significance but also Varley’s dexterity as a writer. These backstories are lyrical, poignant but not sentimental. 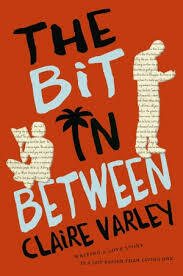 Varley might have become didactic in narrative dealing with social injustice in a Developing country but instead, we learn a lot about life on this Pacific island through skilful weaving of well-drawn situations involving believable characters. A surfeit of adjectives was distracting now and again in phrases like ‘beautiful brown eyes’ and where a description of a sunset and sky seems overwritten but this is a minuscule irk in what I found an engaging and intelligent read. I found the story compelling on many levels, many personally resonant, and whilst it will probably not be considered literary fiction because of its humour and accessibility, it has a literary bent bordering on the style of Simsion and Hornby. ‘The Bit in Between’ could have wide appeal because of its global reach, political themes and humour, but specific appeal to young adult and baby boomer travellers. I read it in two sittings and look forward to the sequel because the ending opens it right up and I want to see where Oliver and Alison go from here. A confident and assured debut. This entry was posted in Reviews and tagged Claire Varley, comedy, debut novel, developing countries, get off slush pile, Macmillan, meta fiction, romance. Bookmark the permalink.